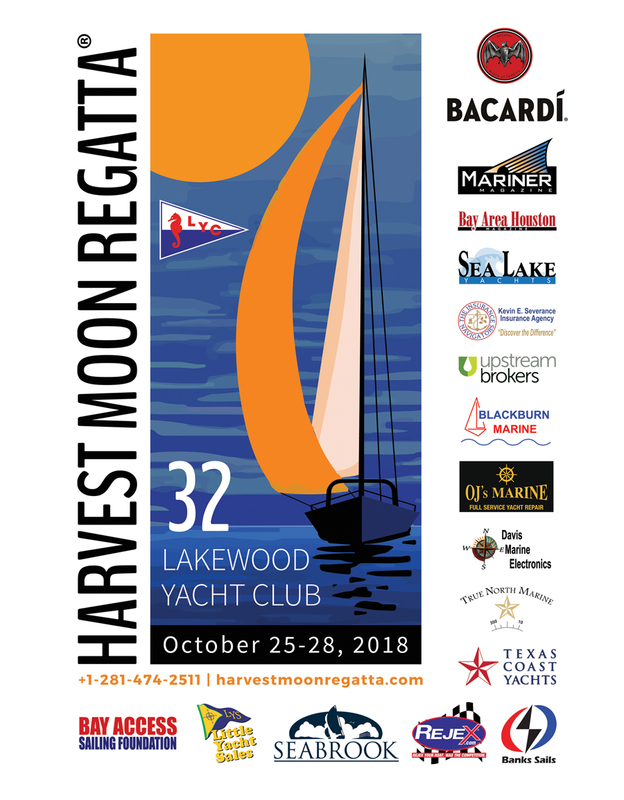 The Harvest Moon Regatta® is probably the best known sailboat race on the Texas Gulf Coast, although even many participants do not know its history, or the role that hurricanes have played in its evolution. The bar talk led to discussions with members of other area sailing clubs, some of which were held at Frank’s Shrimp Hut, which is now Hooter’s in Seabrook. The first regatta, in 1987, was planned as a four race event beginning with a skippers’ meeting on Friday, Sept. 25, and a kickoff party on Saturday, Sept. 26. Racing started on Thursday, Oct. 1 and ran through the 10th with race segments or “legs” from the Galveston jetties to Port Isabel, back up the coast to Port Aransas, back to the Galveston Jetties, and then up to Marker Two at the Clear Creek channel leading into Lakewood’s homeport, Seabrook. The full moon closest to the autumnal equinox is known as the “harvest moon” and is characterized by a bright orange color; it is followed by a “hunter’s moon. The “harvest moon” can occur as early as September 8th or as late as Oct. 7 which was the date of the “harvest moon” in 1987. Thus, in October 1987, with the races occurring between October 1st and the 10th, the Harvest Moon Regatta® was born. Seventeen yachts sailed that first year, with several bikini beach parties along the way. In 1988, the “harvest moon” fell on Sept. 25, so the race start was scheduled for Thursday, Sept.22, but on Sept. 8 Hurricane Gilbert destroyed the Queen’s Point Marina at Port Isabel. The race start was delayed three weeks to Oct. 14 and the destination was changed to Port Aransas. Thus began the tradition of sailing to Port Aransas under a magnificent full moon, sometimes a “harvest moon” if it fell during the first seven days of October, otherwise a “hunter’s moon” if it fell on or after the 8th of October. 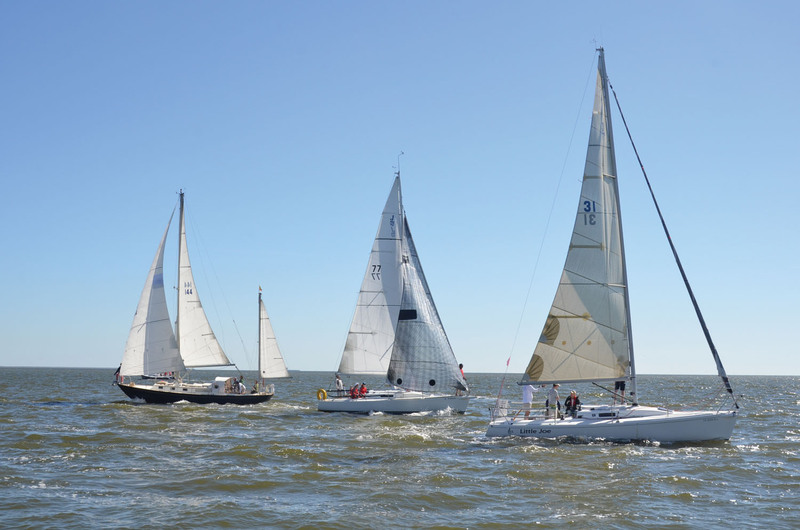 The race, open to sailors with no club affiliation as well as members of other area sailing clubs, became a bucket list item for many Texas sailors, many of whom had little or no offshore experience. The growth of Harvest Moon Regatta® also resulted in the formation of a charitable organization, Bay Access Sailing Foundation. Bay Access now serves as the regatta’s organizing authority, with race management provided by volunteers from Lakewood Yacht Club. In 2015, Hurricane Patricia was forecast to envelop Port Aransas in a “catastrophic rain event” with the worst conditions forecast for Sunday morning when sailors would be required to leave the relative safety of Port Aransas City Marina for the trip back to Houston and various other home ports. Numerous warnings from weather officials eventually prompted race organizers to cancel the race for the first time in its history. Despite the race cancellation, the party in Port Aransas went on, and some of the more seasoned sailors sailed the course and were able to obtain slips in the City Marina harbor to ride out the gale force winds that arrived as forecast on Sunday morning. 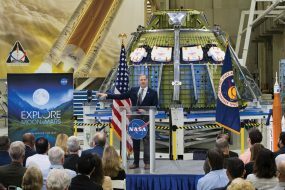 In 2017, when the actual “harvest moon” again fell in October, on the 5th, Hurricane Harvey put a new twist on the story. Hitting the Texas coast near Port Aransas on Aug. 25, the storm devastated “the ideal Texas port” and dumped torrential rain on the entire Houston area. 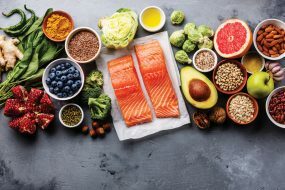 This time, instead of canceling the race or rescheduling it, race organizers decided to reformat the race as a triangle race, similar to Lakewood’s TORC event, the Heald Bank Regatta, which is traditionally held in April. 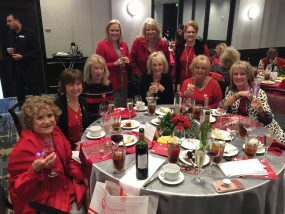 Beginning and ending at the Galveston Jetties, the Regatta was followed by an awards party at Lakewood Yacht Club in Seabrook, where regatta volunteers put a special focus on raising money for the devastated Port Aransas. Port Aransas city officials were surprised to receive a check for about $20,000 from the regatta, and they are looking forward to the return of the regatta this year, although it will be many years before Port Aransas recovers to pre-Harvey prosperity. Four Lakewood Yacht Club members were first place finishers in the 16th Annual Bay Cup I Regatta, which LYC hosted in cooperation with Bay Access. This year’s regatta had 42 registered boats. 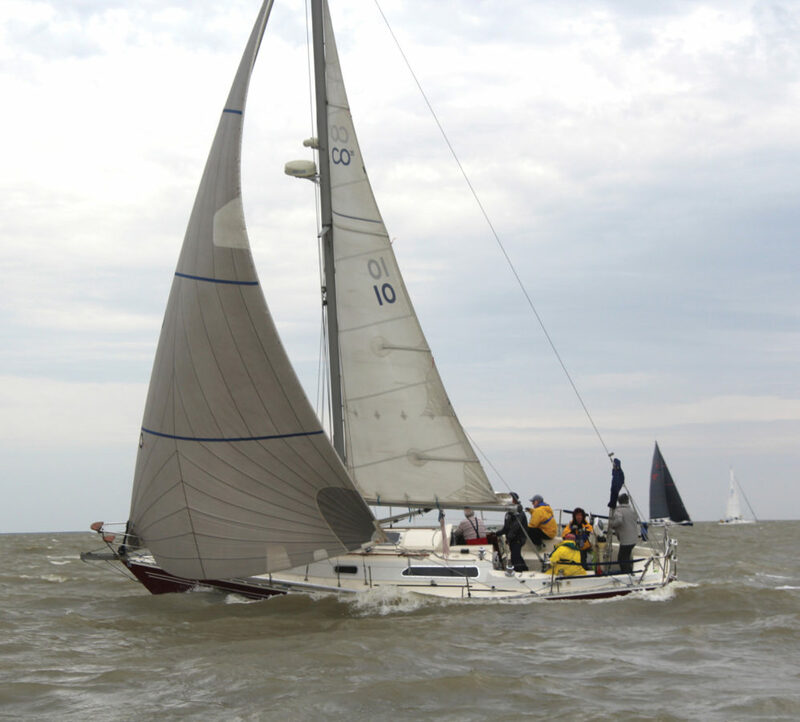 Racers dealt with choppy, windy and rainy conditions on Trinity Bay throughout the duration of the March 4 race, but nine Lakewood members managed top-four finishes among the five race classes. The 2017 Bay Cup I Regatta first-place winners include Houston Yacht Club member Ken Humphries in the PHRF Spin – (Non-Sprit) and LYC members Carl Drechsel in the Cruising Non-Spin Classic Canvas, Gerhard Wittich in the Cruising Poleless Spin, Ash Walker in the PHRF Non-Spin and Uzi Ozeri in the PHRF Spin – Sprit. A celebratory dinner, party and awards ceremony followed the race in the LYC ballroom. Sailors, spectators and guests enjoyed camaraderie over dinner and drinks and tuned in to live entertainment by Kelly McGuire, an award-winning singer and songwriter. 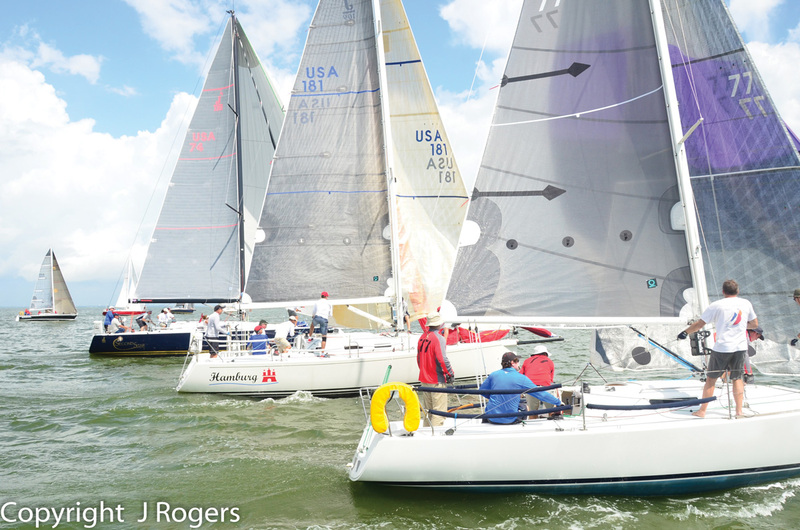 Interested racers should begin preparing for Bay Cup II, the second of this two race series. Overall trophies will be presented at the conclusion of that regatta Aug. 5. The LYC Race Committee said it also would like to acknowledge the generous sponsors that helped make this a great long-distance sailing event including the City of Seabrook, George Ocean Rum, Bay Access, Little Yacht Sales, OJ’s Marin, True North Marine, Blackburn Marine, Alliant Marine & Energy Insurance and Davis Marine. Sailboat classes eligible to compete in this series include PHRF Spinnaker, PHRF Non-Spin, PHRF under 30 feet, Cruising Poleless Spin, Cruising Non-Spin-Classic Canvas (i.e. Dacron sails), Shorthanded Offshore Sailors, Multihull and One Design Classes.